Play 2 games to receive the Cute Lunary Skyrocket Spray. Play 5 more games to receive the Lunar Warcrest Banner. Play 8 more games to receive the Cute Lunar Guardian Portrait. Play 10 more games to receive the Lunary Skyrocket Mount. 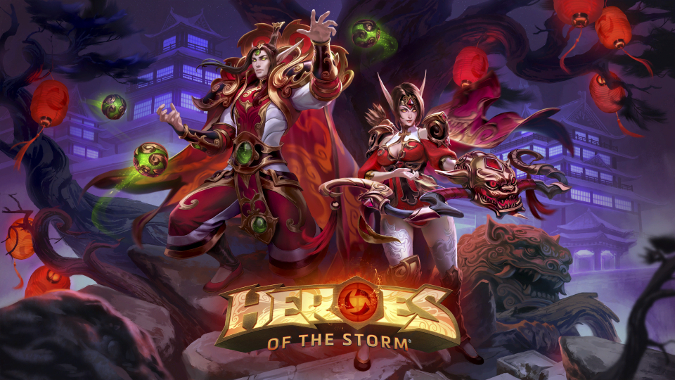 Sylvanas, Kael’thas, Cassia, and Zul’jin are the recipients of new skins this year, with the first two heroes having Epic-quality skins and the latter two mere Rare-quality skins. 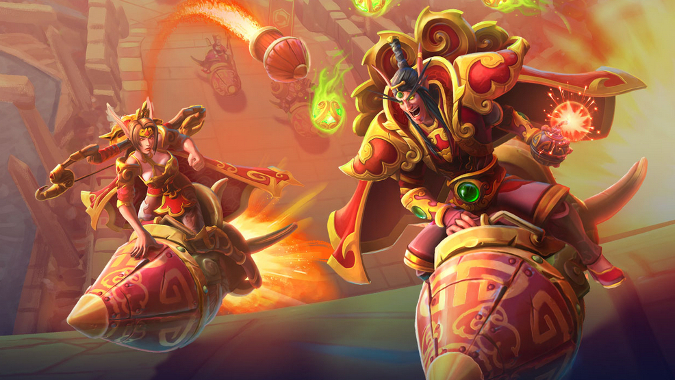 Similarly, some existing skins — Jaina, Azmodan, Illidan, to name a few — are also getting new color variants. 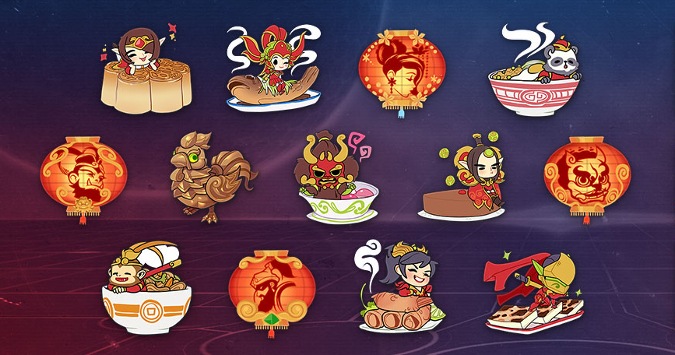 And, as has been the trend with Heroes of the Storm events since Heroes 2.0, the event also includes an entire suite of sprays, portraits, and emoji. You can check out all of the upcoming skins and cosmetics on the Heroes of the Storm in-development blog post. Personally, I’m not a big fan of the skins this time around; both Sylvanas and Kael’thas are gaudy in a way that doesn’t tickle me. Sylvanas in particular doesn’t strike me at all like Sylvanas. Even her Sugar Plum skin for Winter Veil kept the essence of a goth undead banshee — the whole thing that makes Sylvanas who she is. Maybe I’ll change my tune once I see the skin in action, but right now, it strikes me as a different character altogether rather than just a skin. I do love the sprays this time around, though — both the lanterns and the cutesy food sprays are wonderful. As soon as I get my hands on it, I’ll be rocking the Jaina-on-a-dumpling spray for sure. Ready Your Engines for Lunar Rocket Racing Mount up and race to the finish line in this free-for-all Brawl. Collect Envelopes to gain abilities and outsmart your opponents – but stay alert, because getting hit by a projectile will knock you off your Mount! Heroes automatically move toward their mouse cursor’s location! Complete 7 laps and win! One player must lose! Pick up Envelopes to gain access to different abilities! I haven’t had a chance to play this Brawl yet, but just from its description, it strikes me as something Heroes players are going to wish they had all year long. Again, the event runs February 6 through March 5, so don’t miss out. And if you’re hoping to maximize your loot gains, it might not be a bad idea to start getting your heroes close to leveling now in preparation of the event kicking off.